This aspiring beauty queen is proud to be "hippy": "I'm a balakang babe. Curvy doesn't mean you look bad." Miss Chinatown 2018 finalist Jann Caitlin Jao admits to feeling hurt by negative comments about her physique but has learned to overcome it: "Masakit siya but at the end of the day, if you know that you're giving your best in all aspects, not just on your physique... Then mas mangingibabaw yun." Aspiring beauty queen Jann Caitlin Jao is out to prove that beauty is beyond physical attributes. The 24-year-old Filipino-Chinese youth ambassador is one of the 28 finalists for Mr. and Miss Chinatown 2018. Being one of the "relatively curvier" candidates in the competition, Jann admits to feeling a little insecure during the initial screening of the competition. A World Wide Fund for Nature (WWF) worker, Jann hopes women like her would also learn to love their curves and celebrate their individuality. She explains, "Curvy women doesn't mean you look bad. Kasi ako, I'm a balakang babe, ano pa... thunder thighs...Di ba yun pa yung mga terms nila? "And I'm proud to have those kasi these are things that we can not change and the only thing we can change is how fit or how healthy we are." In an Instagram post last August 5, she wrote, "It took courage to share this because to be honest, I still feel a tinge of insecurity when I see the photos on the left. Perhaps some people raised their brows. "Maybe even asked why I’m a candidate. But I’m posting anyway because regardless of what happens in the coming weeks, I find this a feat to celebrate. "I was asked during screening how much I want to be part of Ms. Chinatown 2018 and I said I really do. THIS is how much. "I wouldn’t have done it without the support of my loved ones and my super patient, super encouraging trainer @kenrioveros !! "Of course, there’s still more to work on besides my physique but I’m ready for you, September 2." 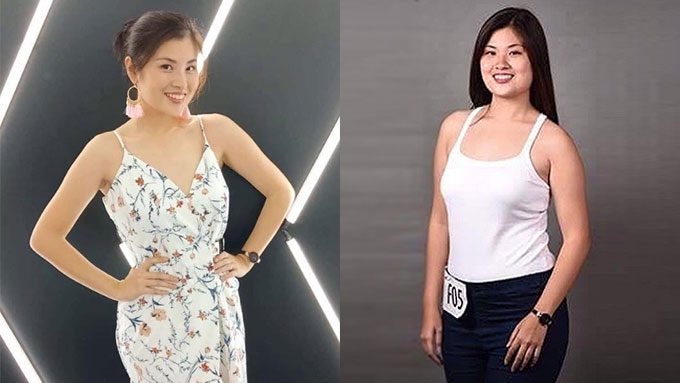 In an exclusive interview with PEP.ph (Philippine Entertainment Portal), Jann shares how the annual beauty pageant improved her confidence and changed her outlook in life. "And I answered, 'I really want this...' I've told myself na I'd join it's just that every year, I represent the country abroad in a different youth program. "So, finally, when the chance was there sabi ko ibibigay ko lahat." Mikko Araneta is the pageant director of Mr. and Miss Chinatown 2018. PEP.ph's short chat with Jann happens at the press presentation of the pageant on August 8, at Crowne Plaza Manila Galleria in Quezon City. The winners will be crowned at SM Mall of Asia Arena on September 2. Initially, Jann thought she didn't make the final list of candidates until she received a call from the organizers. Immediately after she got confirmed, she tapped fitness expert Ken Rioveros to help her with her fitness journey. "When the organizers called me and told me I was in, I already got myself a trainer and I started fixing my diet." In two months, Jann lost over 10 pounds—from 128 lbs. down to 117 lbs.—through regular workout and healthy diet. "First is really regular workout, and then yung workout ko, it's not sobrang intense na yung tipong hindi ka na makakagawa ng ibang activities. "So my trainer and I balanced it. Every session, we do something different. Sometimes we do Circuit Training that targets the whole body. "Sometimes meron specific exercises let's say for my legs, for my core, or for my body." Her diet is composed mostly of "70% green," and she has cut down on processed food, unrefined sugars, and carbs. "But every now and then, I take my carbs from fruits kasi mas healthy to get your carbs from like a banana or kamote. Those are fine." The pageant has inspired her to live an active and healthier lifestyle. "It was really to prepare myself kasi I know na when it comes to pageants nga, it's not just about looking good in the camera. It's being fit more than being super payat or anything. "Throughout the journey, I realized that it's more than just slimming down and looking good in front of the camera. "It's also about being strong... Hindi lang siya pagpapapayat, it's also about being fit and healthy at the same time. "Ang main takeaway ko is kasi I realized na it's only when I join a big competition or youth program na iniintindi ko yung health ko. "But with the dreams that I have, it's really important na maging healthy ako para magawa ko lahat yun." Jann admits that hurtful comments about her figure have affected her, but she has learned to overcome it. 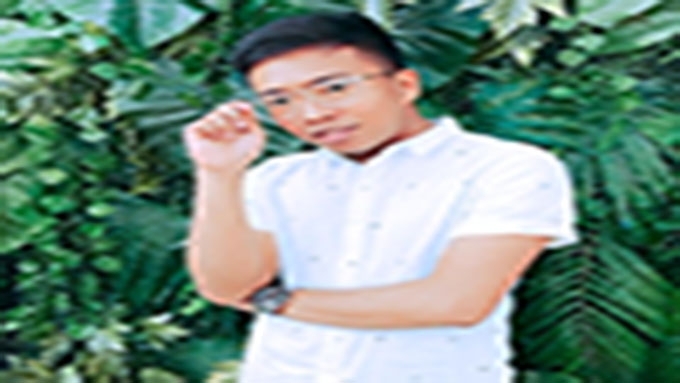 "Masakit siya siyempre, aaminin naman natin na if you're judged by your looks, masakit siya. "But if you know that you're giving your best in all aspects, not just on your physique... mas mangingibabaw yun."